Three piece fleece set features fleece gloves, hat and scarf. Includes a fleece carrying pouch. Great item to warm up your promotions. Overseas. For normal express shipping time need 2 days under quantity 2k, quantity over 5k please add 5 days for air express, for large quantity please add 25 days ocean shipping time,price includes freight. 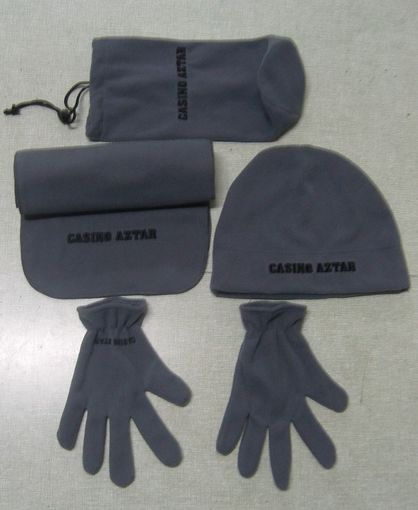 [Imprint size] 20" x 5"
[Summary] Snowball - Three piece fleece set includes hat, gloves, scarf.